Daring Greatly is about having the courage to be vulnerable. In a world where we're shamed into feeling that we're not enough, we need the courage to open up to someone close who can offer us empathy. Because through sharing with another who can understand how we feel, we are sharing our humaness and connection and that's where the healing is. 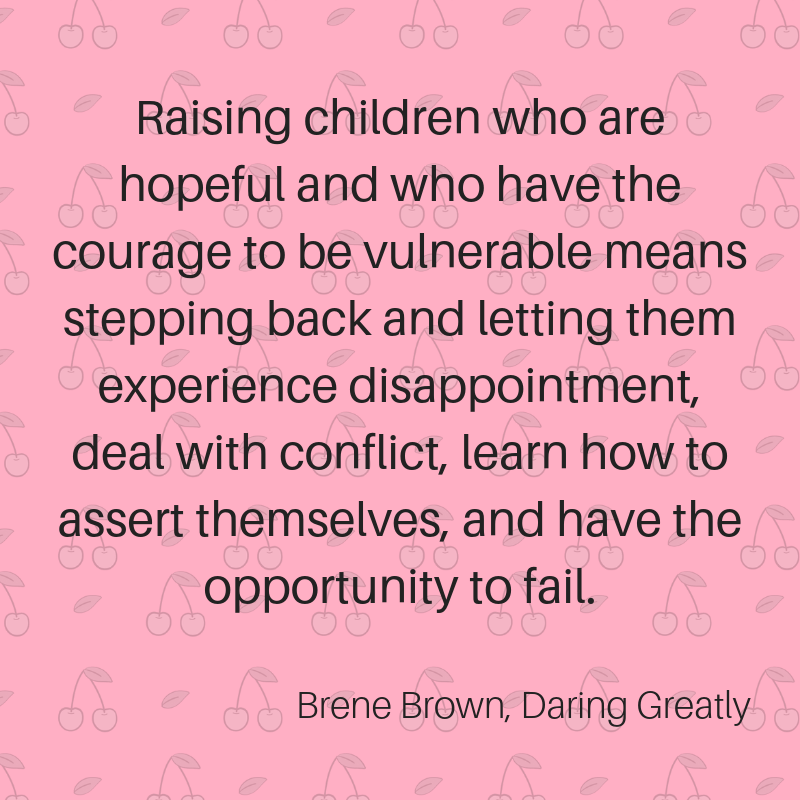 Daring Greatly is not just a parenting book. 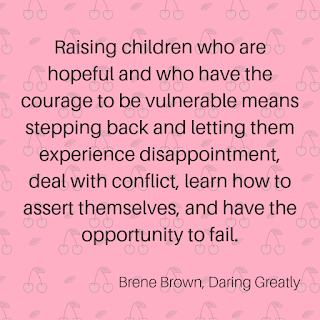 The author looks at courage and vulnerability in general as it applies to everyone then specifically at the workplace and in education. And finally, at how it applies to parenting. 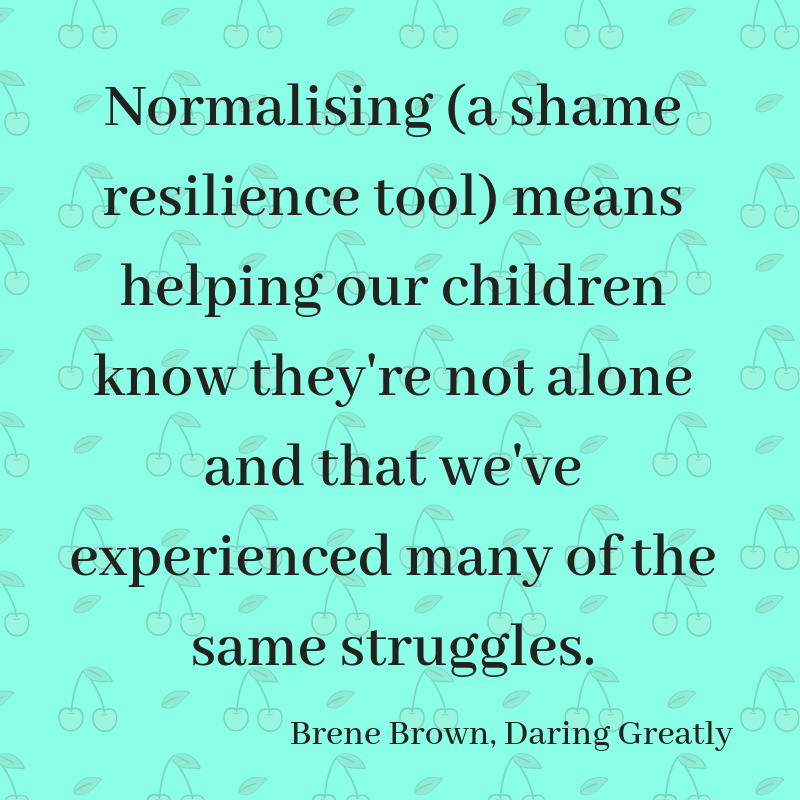 Some parents use shaming as a disciplining method to ensure their children's good behaviour. But there has never been any research or evidence that making others feel bad about themselves leads to a change to better behaviour. Here is where a distinction that we as parents need to make and need to teach children to understand. It's the difference between feelings of shame and feelings of guilt. Guilt is a more positive feeling as it can make a person change and improve but shame is a destructive feeling that leads to despair, depression, aggression and violence, to name a few. It's when we say things like "You're a naughty child" instead of "You've done something naughty". Likewise, saying "You're so annoying" instead of "That's an annoying thing to do" will shame your child into feeling that they're annoying rather than their action that was annoying. 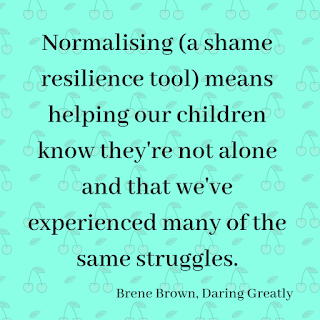 The first step is to stop shaming our children. 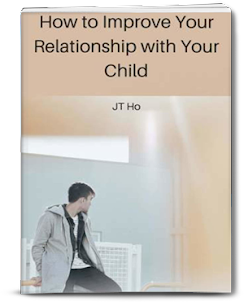 On the other side of this is to be there for our children, when they are shamed by others. The way to do this is to listen with empathy and show our own vulnerability by sharing a time when we were shamed in a similar way. 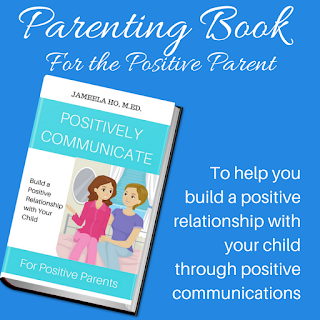 Other things you can do to help your children combat shame is to teach them to practice gratitude so that they can live a joyful life; appreciating that we are not perfect - we make mistakes and we have the courage to admit to them, and loving our children unconditionally and that we appreciate them the way they are and that they belong in our family. 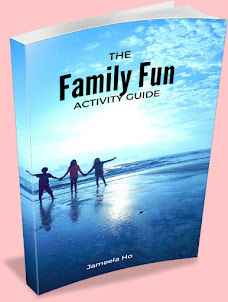 Get this ebook full of fun activities to do together as a family to build your relationships. Download this set free below.